There is nothing that says summer like the smell of a sizzling BBQ. I rarely cook inside once the weather is nice. It’s easier on the cleanup too. But what if you aren’t into or able to eat those burgers and steaks like everyone else? You don’t have to feel left out. Or, maybe you just want to try something a little different? Crunchy, chewy with a crispy outer shell, these delicious veggie burgers aren’t anything like the ones I’ve tried from the grocery store! They are light on the beans with a nice mixture of chopped almonds, sunflower seeds, breadcrumbs and seasonings. They cook just as well in the oven, griddle, or BBQ. They can be also made gluten-free by using gluten-free oats, soy sauce, and breadcrumbs. If I don’t have any on hand, I toast a couple of slices then process them for instant breadcrumbs. I made this recipe for retreat guests last summer. They loved it! Hope you will too. Preheat oven or BBQ to 350F. In a large skillet sauté onions and garlic in 1/2 tbsp oil. Add chopped mushrooms. Stir occasionally and cook until mushrooms are soft and have lost most of their moisture. Cool. Mix flax egg (if using) in a small bowl and set aside for about 10 mins.Place all ingredients except spices and salt into a large mixing bowl and stir very well. It’s now time to add the seasonings. With slightly moist hands shape dough into patties. For uniform size use an ice cream scoop for measure. Pack dough tightly to help it stick together. I made about 8 good sixe patties. To cook: On an oiled skillet about 5 minutes each side: Baked in oven 25-30 mins. 15 minutes each side. NOTE: *They might not be as firm as meat burgers but they sure look like them! They freeze up beautifully. Serve on burgers, spread on pizza crust as base, crackers or flat breads or in soups or stews. 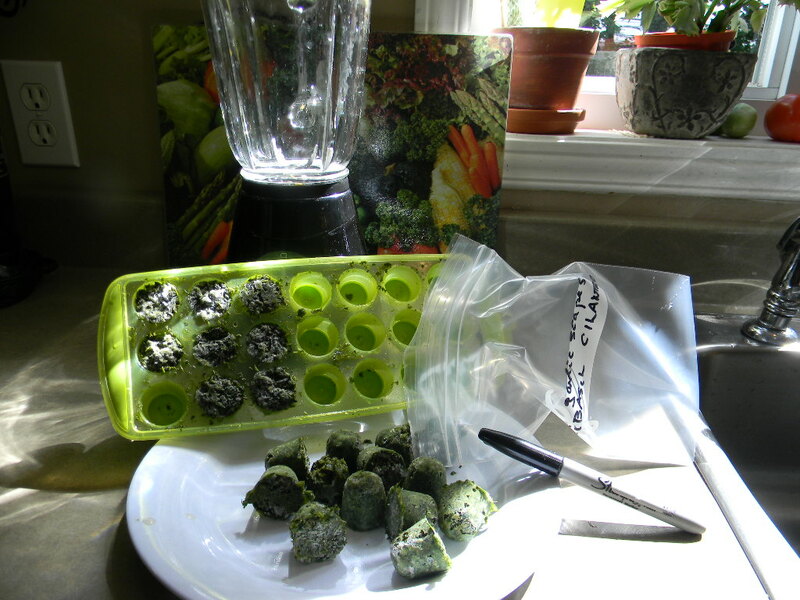 Combine the basil in with the pine nuts, pulse a few times in a food processor. (If you are using walnuts instead of pine nuts and they are not already chopped, pulse them a few times first, before adding the basil). Add the garlic, pulse a few times more. Slowly add the olive oil in a constant stream while the food processor is on. Stop to scrape down the sides of the food processor with a rubber spatula. Add the grated cheese and pulse again until blended. Add a pinch of salt and freshly ground black pepper to taste. 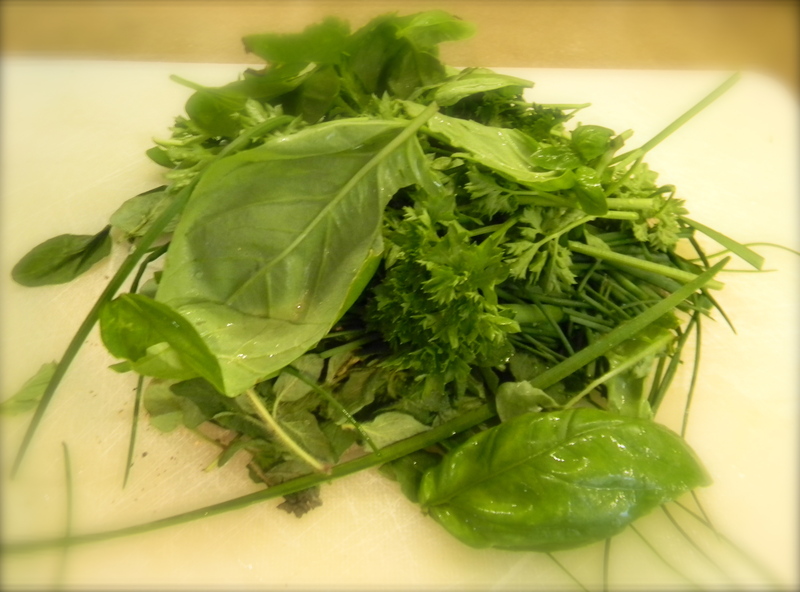 Note: Take advantage of fresh herbs in season. Can be frozen in a cube tray and popped into a freezer bag after firm. Easy to pop out and quick to thaw. You are receiving this newsletter because you expressed interest in receiving it, subscribed or are enrolled in Your Better Living Coach Wellness Programs. Sure don’t want to bug you so if no longer want to receive this just unsubscribe. Will welcome you back anytime! NOTE : This post is not intended to be used for the diagnosis or treatment of a health problem or as a substitute for consulting a licensed medical professional. Its always the best practice to consult your doctor for a comprehensive guide/advice on health problems. This entry was posted in Detox, Integrative health, Lifestyle, Whole food nutrition and tagged allergies, burgers, dairy free, egg free, gluten free, mushroom, recipe, sinus, summer, vegan, vegetarian by Your Better Living Coach. Bookmark the permalink.